The Partner Camp Stove Carry Bag is constructed of heavy duty reinforced vinyl and uses a heavy duty zipper opening. 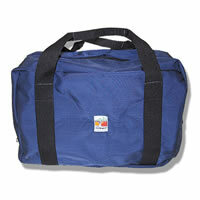 This bag will help protect your Partner Stove from getting damaged, and from getting contaminated with sand and grit. Only fits 16" and 18" two and four burner stoves. From Jack Findling of Broadlands, Virginia on 5/30/2014 . From Anonymous of Wiggins , Mississippi on 4/5/2013 .